More Than 100 Lbs. 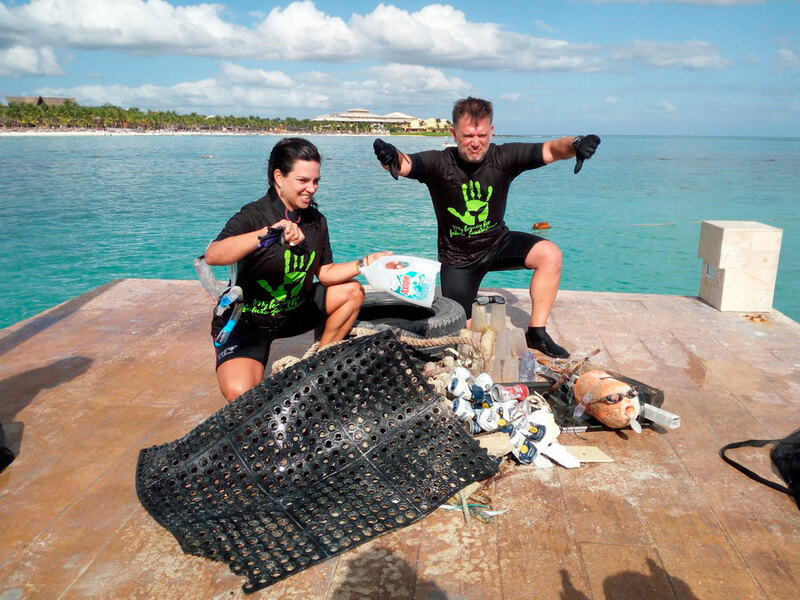 / 45 Kg of Marine Debris Collected in the Riviera Maya By Go Green. More Than 100 Lbs. 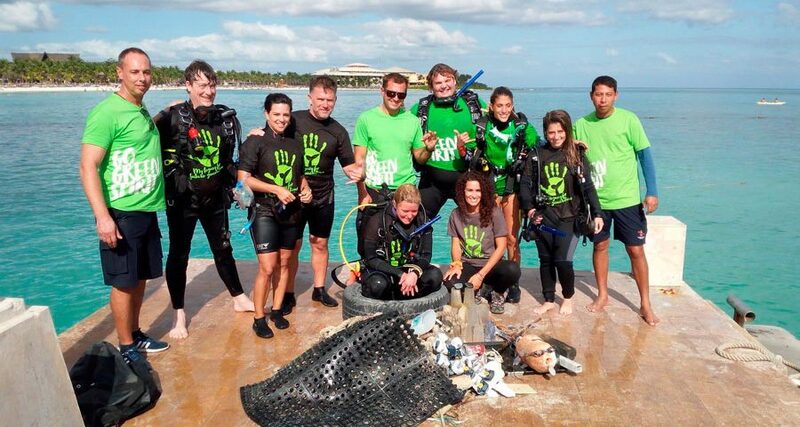 / 45 Kg of Marine Debris Collected in the Riviera Maya By Go Green. Thank you! Our planet needs people like you. 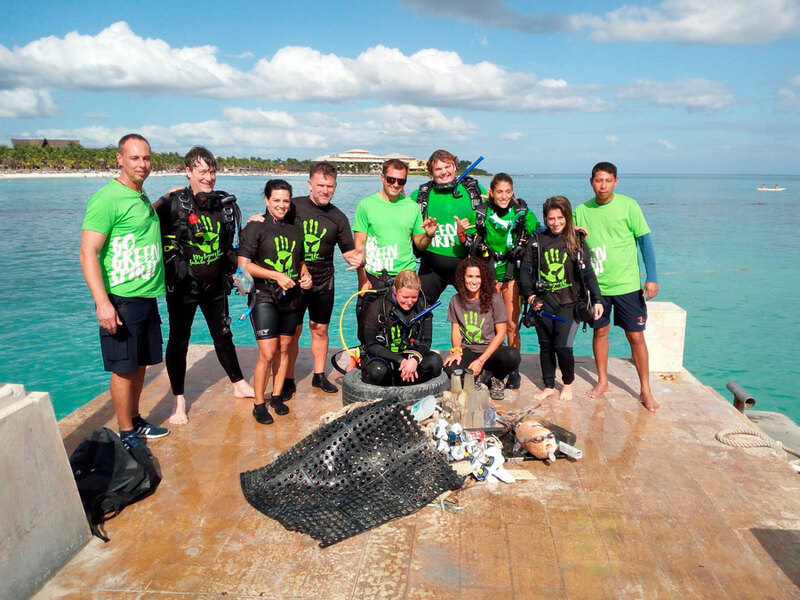 On January 28, GO Green organized a clean-up of the seabed, which was joined by divers committed to doing something for the environment. Their commitment, their passion and their desire to collaborate allowed us to take from the sea elements that only humans could leave. Thank you all. We enjoyed a wonderful afternoon, we dived and your help left its footprint. We had a good time being useful to nature. For an hour, more than 100 Lbs. / 45 Kg of debris was taken from the sea, which, if left, would have remained in the sea for up to 1000 years. In addition to glasses, sheets, ropes, aluminum bars, plastic rings. We are proud to have done this action, to have contributed to leaving a better world. Unfortunately, it is not enough. Is anyone thinking if that tire, plastic cup or beer can is theirs? There are committed people who help unselfishly but more is necessary to have environmental awareness to avoid polluting. Think twice about the consequences of our actions. We leave satisfied by leaving a less polluted sea, avoid decomposing some of them in microplastics that end up in fish and even in our body. We are pleased to think that removing that rope as well as other plastics has prevented the death of turtles and other species that believe it is food and suffocate or become entangled with them. With this small action, we have achieved a lot! 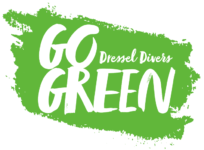 Go Green and Dressel Divers are proud of you. Share this passion in your day to day, in the daily routine. Do small things but with great love! Ignacio And Julieta, Volunteers In This Green Action, Tell Us Their Experience. How many dives and what certification level are you? Have you done any ocean clean up dive before? We really enjoyed it and it was great to be a part of it. Even though we didn’t do the biggest area we think we did a very great job along with everyone else (which they did!). We think it’s very important to do dives like this so that the fish and environment have a chance with more difficult conditions. Also, if we help with activities like this the next generation will have great reefs to enjoy as well. We were very surprised with the number of things we found and where shocked when we found an old plug socket! We would highly recommend it and urge more people to do the same and to think about their footprint on the world!